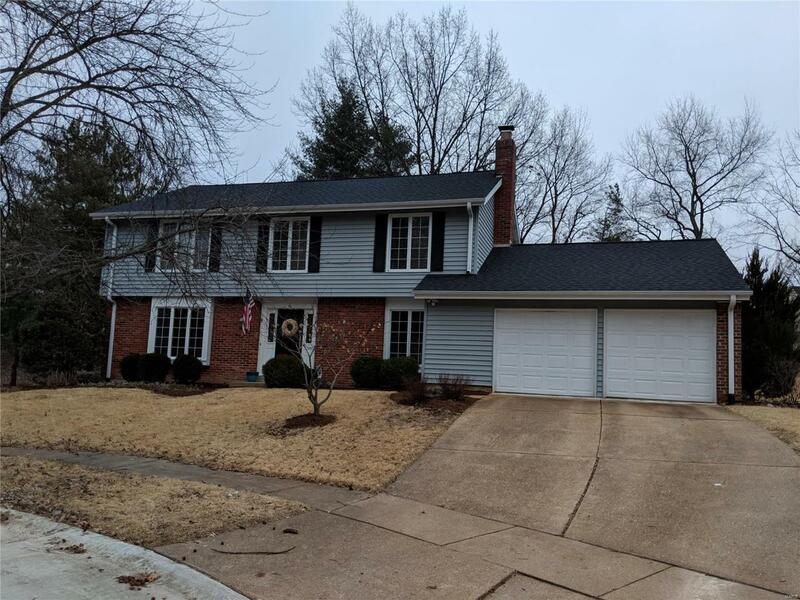 Stunning 2-Story home located in popular Country Lane Woods subdivision and award winning Parkway Schools!Your entry foyer opens to both the spacious living room and cozy hearth room with wood burning fireplace. Also on the main floor is a 1/2 bath, large formal dining room, kitchen, and main floor laundry. The kitchen is updated and fabulous, featuring granite counter tops, stainless steel appliances, and ample cabinet space. Upstairs youll find 4 spacious bedrooms and 2 updated full baths including the substantial master suite with walk-in closet. Your nicely finished basement includes built-in book cases, a large rec area that's perfect for either your billiards table, ping pong, Foosball, or whatever your games of choice are. The other side is perfect for an additional family/TV room. You still have plenty of room for storage in the unfinished area with built-in shelving.Fire up the grill and entertain family and friends in your large back yard with ample patio space.